I can't say enough how welcoming and lovely all the staff at this hotel were especially Nikos and Maria. The location was really good it's right at the bottom of the strip... It's also opposite the beach which was also good, music all day. The rooms were fresh and clean so no issues there and we had a big balcony (room 25) . We stayed half board and ate here for breakfast and dinner almost every night the food was also lovely but massive portion sizes! When we got there Nikos and Maria were waiting next to the transfers to greet us off, we then got greeted by Nick, Kye and Ben who were lovely and carried our cases to the room. The room was very nice and better than we originally thought it would be. Any problems you may have Nikos will be there to help... Oscars bar is the best place to pre-drink... The location of the hotel is perfect, 2 minute walk to the beach and you're basically at the end of the strip. I can't speak highly enough of this place. Nikkos the owner is the greatest man alive. Even one night one of the lads lost 20 euros at oscars (wouldn't go anywhere else to pre drink) he went straight into his pocket to give him 20 euros. The rooms are clean and have everything you need. Prime location. Honestly wouldn't stay anywhere else than here. All the positive reviews are completely accurate! If you're heading to Malia this is definitely the best hotel to stay at. Perfect location, it's on the strip but at the same time off it! And seconds away from the beach, with gorgeous views from the majority of balconies. The staff were amazing and friendly, Nikos and his family definitely made our holiday the amazing one that it was! This is definitely a hotel for young people who want to stay up late and have a laugh, and if that's what you're looking for its absolutely perfect. Why is there not a six star rating? If there was, this place would deserve it. I stayed here last week with some friends and I had the time of my life. Not only did I have a laugh with the people I went with, but I also met some fantastic people who I will meet up with in the UK now - that's the best thing about Primavera, the social side... you mix, you can't help but do it and you get to know everyone, and everyone's there for one reason - to have fun! The rooms are a good size - everything you need in them, and they're cleaned every couple of days too. The guys behind the bar, or Andy by the pool, or the staff in the kitchen, will always interact with you and make sure you're having a good time. Nothing's too much trouble. Primavera is chilled during the day - unless you fancy causing some chaos by the pool, then that's fine - and buzzing in the evening in Oscar's bar is where the staff are always egging you on to have your best night out yet! The owners, a lovely couple called Nikos and Maria, would literally do anything to make your stay enjoyable - nothing's too much trouble for them. One of the best things about this place is that it's family run, so the little touches are personal, but it's pure Malia and exactly what you want for a week away! Very reasonably priced, fantastic staff, perfect location. Two words for you - BOOK NOW! 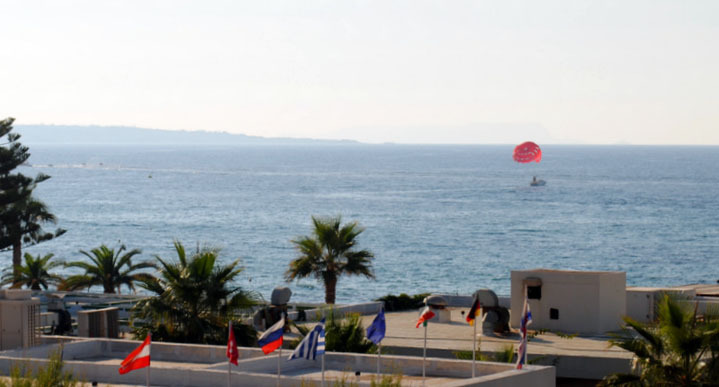 Amazing staff, great hotel and ideal location on the strip, next to the beach! would defiantly recomend! Going again next year! Nikos Maria and all the staff where the most friendliest bunch of people you would ever meet (...) Great pool, great bar (Oscars), good deals on drinks and food. If you go to Malia,, Primavera Beach is the place to stay!!! "Perfect location for the beach and nightlife"
The hotel itself was nice, the swimming pool was small but the bar was good, there was internet access which was handy. I would stay here again as it was good value for money, very nice and friendly staff and enjoyed myself on the evenings in the hotel bar with the great drink offers there was. "Loved every second of our stay!" 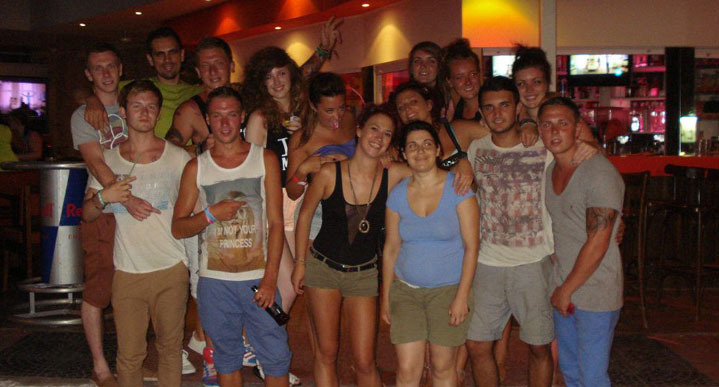 We was greeted by Maria and Nikos and the girls that worked at the bar. They were all so nice and friendly and helped us with our luggage and stuff. The rooms are nice and big with a really nice balcony view. The beach is litterally 2 mins walk from primavera but we usually stayed round the pool as the drinks and food is cheap and really nice. GOOD TIMES! My friend and I stayed here last week, and we had such a great time! Nikos who owns Charlie's bar and the Castro apartments, is an absolute diamond!